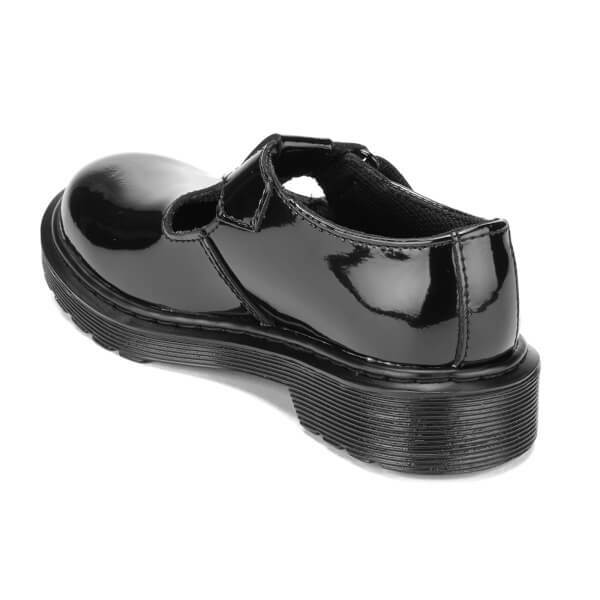 Kids’ ‘Goldie J’ black patent leather shoes based on the classic Mary Jane silhouette from Dr. Martens. Crafted from patent Lamper leather, the T-bar shoes are fastened with a single Velcro strap closure. 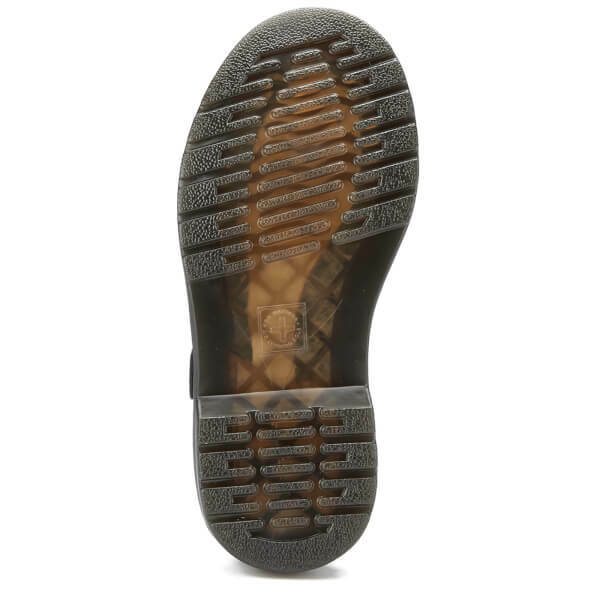 Set on a durable AirWair cushioned sole which is cemented to the upper; the boots feature the signature sole pattern for added grip. Complete with signature branding to the foot bed.